Granite City Food & Brewery is a modern brewery that offers craft beer in Detroit. 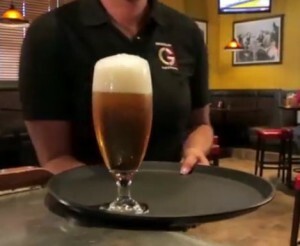 Granite City offers a wide variety of different styles of craft beer in Detroit. Our customers are sure to find a great craft beer to fit their taste at our brewery in Detroit. 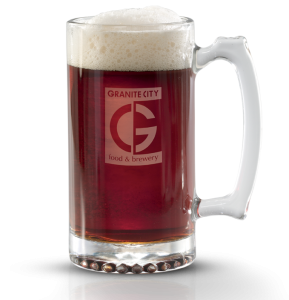 At Granite City, we create our own signature brews as well as seasonal craft beers throughout the year. Not sure what craft beer to order? Our Detroit brewery offers craft beer flights so that you can try a number of our beers to find the beer that best fits your tastes. To learn more about the craft beer selections we offer in Detroit, call Granite City Food & Brewery today at 313-309-9120. You can also submit an online request from by filling out the form on the right side of this page and a knowledgeable representative will be with you shortly. Our variety of signature craft beer is sure to have something to please any palate. 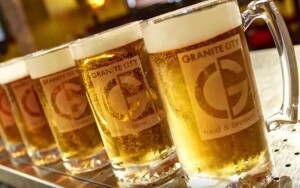 Stop by Granite City Food & Brewery today and see why we have the best signature craft beer in Detroit. The brewers at Granite City Food & Brewery also offer a rotating seasonal craft beer in Detroit. This seasonal brew is rotated monthly and can be anything from a Citra IPA to a Vanilla Porter and everything in-between. At Granite City Food & Brewery in Detroit, we believe in variety when it comes to craft beer. For more info on our craft beer selection in Detroit, call Granite City today at 313-309-9120. You can also get ahold of one of our friendly representatives by submitting an online request form by filling out the form on the right side of this page.